Do you use PDF icon to transfer your document into PDF and send them to your boss, venders or customers? 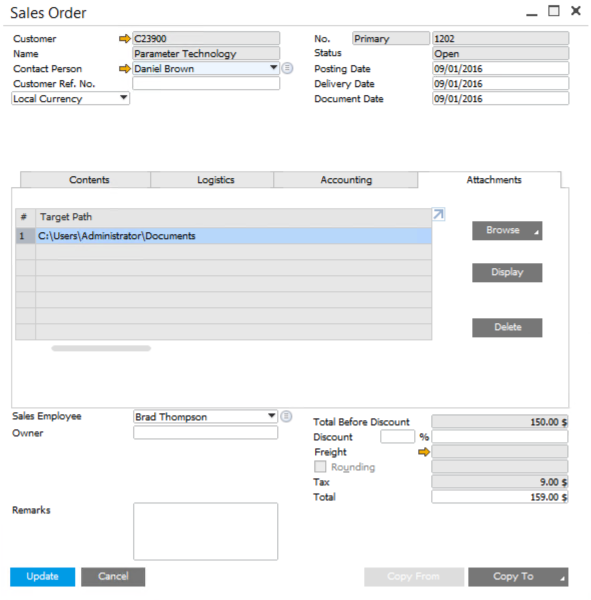 Well, if you need to transfer the documents into PDF and attached them every time based on your company’s principle, you can change the setting and auto attached PDF into target documents from SAP Business One 9.2. First of all, we need to decide a default attachments folder. Go to Administration > System Initialization > General Settings > Path tab and choose the path. Then go to Administration > System Initialization > Print Preferences > General tab, choose “When Adding Marketing Document, Use Attachments Folder as Default Path to Export PDF” and then select the checkbox “Attach Exported PDF to Marketing Document”. 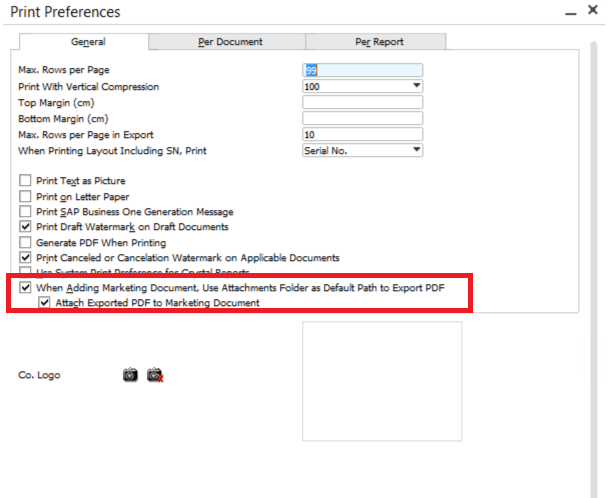 Go to Per Document tab, choose the documents you want to transfer and select “Export to PDF” under “When Adding Document”. Here we go, we open and create a Sales Order, for example, and it automatically transfer and attached the document.